The CEE Department is involved in a wide range of research activities organized around four main areas. 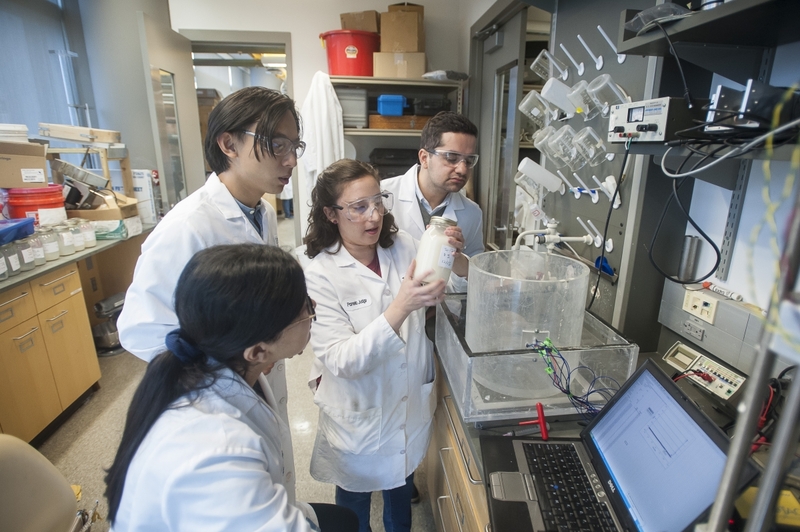 Research activities involve faculty, graduate students, and staff in field, laboratory, and computational based projects. Additional information about research activities can be viewed on each graduate program page below, or by contacting faculty within the program. 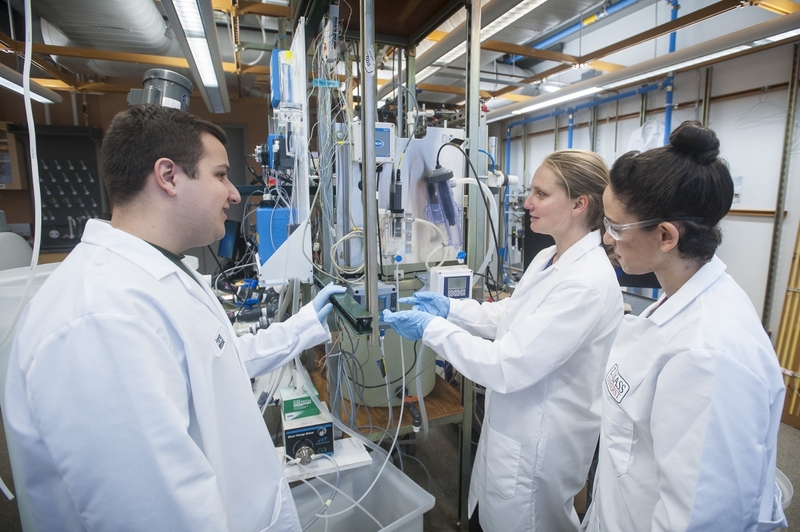 The Environmental and Water Resources Engineering (EWRE) Program is committed to solving the environmental problems of today and educating the engineers and researchers of tomorrow. The group has expertise in a wide variety of fields, including hydrology, water resources planning and management, drinking water treatment, and environmental sensing. EWRE faculty have received the Presidential Early Career Award for Science and Engineering, the Huber Prize for Research, and the ASCE Julian Hinds Award. By combining a tradition of excellence with a passion for innovation, our program provides students with a highly competitive graduate education. Most students are supported through research assistantships, fellowships, and teaching assistantships. Alumni have gone on to positions in industry, consulting firms, government agencies, research institutions, and universities. The Geotechnical Engineering Program provides a comprehensive course of instruction, preparing students for professional advancement or further scientific study. Internationally recognized for excellence in teaching and research, the faculty group is comprised of individuals with expertise in the areas of numerical modeling, earthquake engineering, soil rheology, in-situ characterization, and full-scale field testing. Current projects include a large, multi-year, international effort to assess and mitigate offshore geohazards and a study on the behavior of eroded soil, a main cause of dam and levee failure. The program’s worldwide reach, diverse research interests, and outstanding facilities make for a well-rounded graduate curriculum and the ideal environment for collaborative research. The Structural Engineering and Mechanics (SEM) Program conducts multidisciplinary research to improve the safety and performance of the world's infrastructure, develop sustainable and green building technology, and analyze the mechanical behavior of solids. Our research consists of experiments conducted in the Gunness Structural Engineering Laboratory and in the field, and computational and analytic work conducted with the aid of in-house computational facilities. Computational resources include state-of-the-art software, multi-processor shared-access workstations and access to the 608 processor "Cyclops" cluster computer environment. 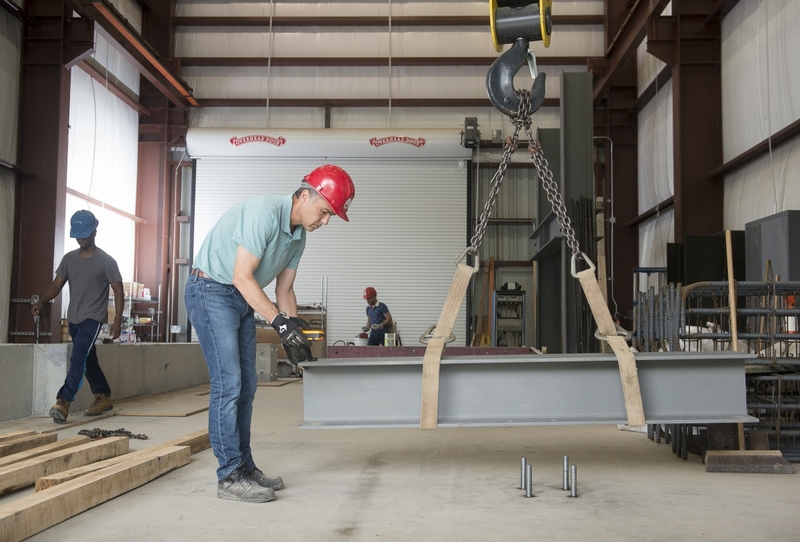 Experimental testing of large-scale structural elements, on-site instrumentation, small-component testing, and materials research is available. The Transportation Program is on the cutting edge of transportation technology, with multi-modal research and instruction covering such wide-ranging issues as transportation safety, intelligent transportation systems, human factors, freight movement, travel demand management, and traveler information centers. The multidisciplinary approach provides flexibility in designing both coursework and research activities, addressing a wide array of student desires and interests. The on-campus Transportation Center works with state, federal, and industrial agencies to promote research and education, and currently consists of four major research programs: the UMTC/Massachusetts Department of Transportation (MassDOT) Cooperative Transportation Research Program; the Regional Traveler Information Center (RTIC); the Baystate Roads Program (Local Technical Assistance Program); the Massachusetts Technical Assistance Program (MTAP); the UMass Traffic Research Safety Program (UMassSafe); and the USDOT University Transportation Center Initiative. A personalized approach to mentoring ensures that graduate students have a broad understanding of the technical and social elements of transportation and are well-prepared to pursue academic, research, government, or consulting careers.